Last week, at a food and influencer filled event Instagram announced a new in-app feature and standalone app that lets users post 1 hour long videos: IGTV. The predominant idea according to Instagram’s CEO is that “everyone can be a creator” because each user is able to build his or her channel. A second thought is, of course, Instagram wants to compete with YouTube. While YouTube still focuses only on full-screen horizontal videos, IGTV is built, supposedly, for how you actually use your phone: vertically. Business-wise, the move makes perfect sense, Instagram has already taken down Snapchat and now, with 1 billion monthly users, is aiming at YouTube. 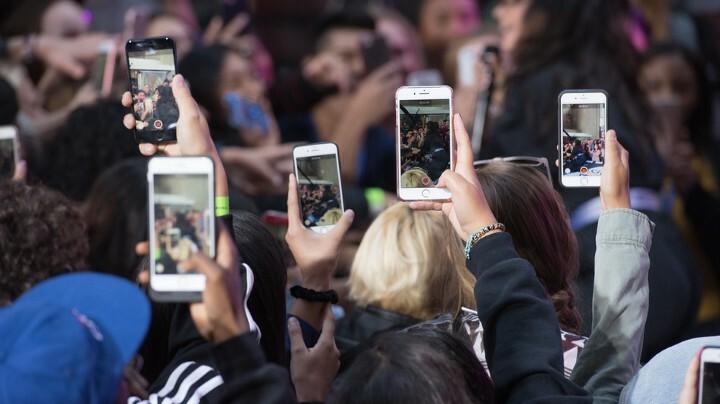 According to a recent Pew Research, the social media landscape in which teens reside looks markedly different than it did as recently as three years ago. In 2014–2015 71% of teens in the US reported being Facebook users, around half (52%) said they used Instagram and 41% reported using Snapchat. 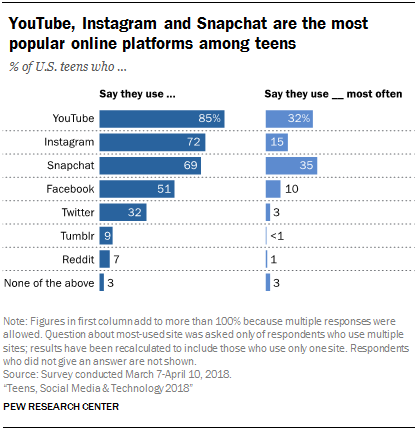 Now, 73% of US teens say they use Instagram and 85% use YouTube. 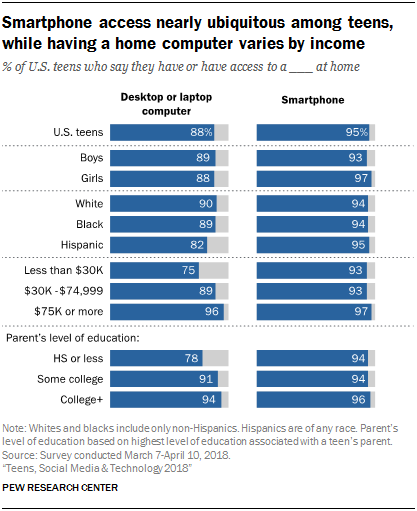 This is accompanied with the fact that in the US the vast majority of teens have access to a home computer or smartphone. 95% of teens now say they have or have access to a smartphone, which represents a 22-percentage-point increase from the 73% of teens who said this in 2014–2015. Smartphone ownership is nearly universal among teens of different genders, races and ethnicities and socioeconomic backgrounds. Also, a growing share of teens describe their internet use as near-constant. 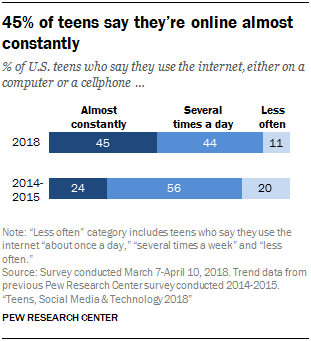 45% of teens say they use the internet “almost constantly,” a figure that has nearly doubled from the 24% who said this in the 2014–2015 survey. This research shows, on one hand the perfect timing Instagram has to add a new feature and app and on the other hand how launching IGTV clashes with what Mark Zuckerberg back at the beginnings of this year said was his top priority: making time spent on Facebook “time well spent”. 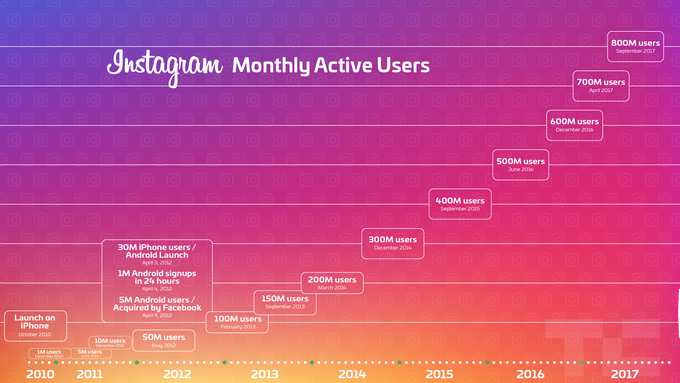 Instagram Stories were released 2 years ago from a Snapchat clone into a huge success as regards visual communication. They stole some of Snap’s primary functionalities, they even created the same AR filter: virtual puppy ears. 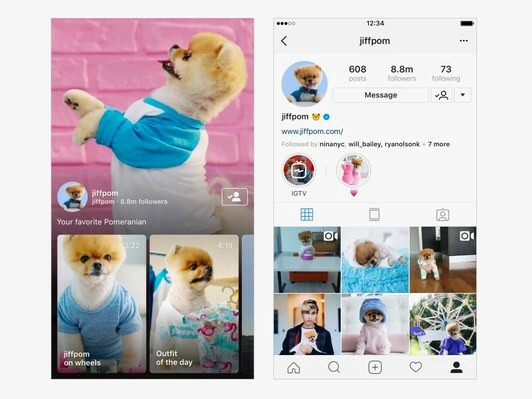 This boosted Instagram’s app’s average usage to 32 minutes per day for users under 35 and 24 minutes per day for those 25 and up. This lead to Snapchat’s clear decline. Snapchat’s share price fell from its $17 IPO to just $12.67. In the meantime, Instagram kept iterating new features, stickers, gifs, quick ephemeral visual messages and more. This way, Instagram achieved a position of strength that allows them to bet on bold strategies such as releasing IGTV. What remains unclear is how will advertising and revenue work on IGTV. Left: Instagram’s flower crown. 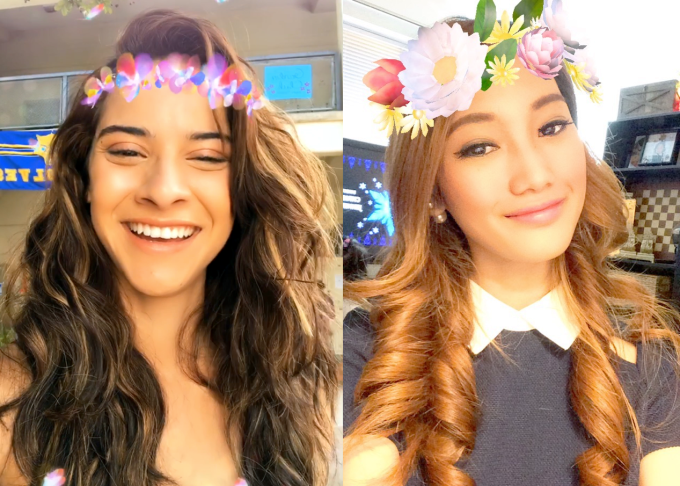 Right: Snapchat’s flower crown. Instagram’s push into longer videos was widely expected and had been reported before by TechCrunch. Users are now able to create their own channels and post pre-recorded videos. 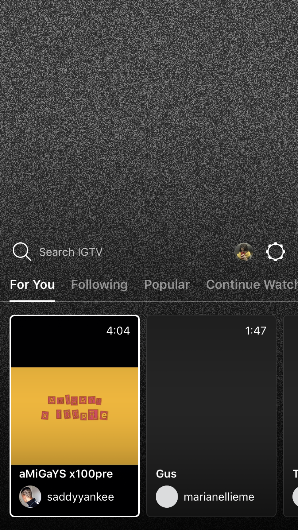 Unlike the main Instagram app that shows stories as bubbles at the top of the main feed, IGTV videos will appear as a series of rectangular thumbnails at the bottom of a user’s channel and the video goes full screen when you tap on it. On the lower left corner of each video are a heart, a comment bubble and a share button. IGTV is sold as a platform designed to watch entertainment and not one to post life updates. The horizontal formatting made YouTube able to become the premiere online destination for digital-first creators and for mainstream music and television content. Its horizontal videos make natural sense for “traditional television” content. Today, the vast majority of content captured on smartphones is shot vertically. We’ve seen Snapchat, Instagram Stories and Facebook all move to embrace vertical content formats. Snapchat was a pioneer on this format. It drived real TV channels such to launch vertically oriented versions of their programmes. ESPN, for example, released a vertically oriented version of its flagship show, SportsCenter. Even Spotify has recently began supporting vertical video loops as song artwork. When you tap the now-playing bar while playing some tracks on Spotify on your phone, it brings up a looped video in the background rather than the typical static image. What About Good Ol’ TV? As the videos in IGTV ought to be upto 60 minutes long, the platform isn’t aiming at competing with streaming services like Netflix, Hulu or HBO.Videos will offer a link-out option so creators can drive traffic to their other social presences, websites, or e-commerce stores. We‘ve made clear that Instagram wants to compete against YouTube but it’s interesting how it adopts the term TV and channel. Creators will have their own channels. Imagine how crazy this idea would have sound maybe 10 years before. 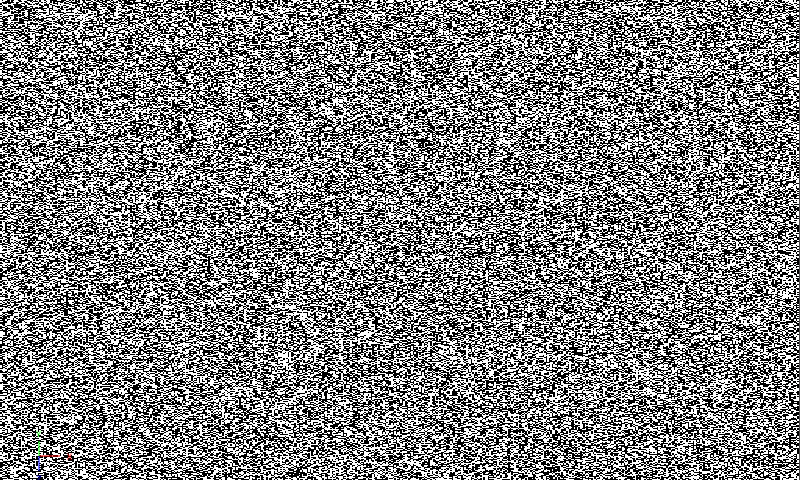 The app even mimics TV static when you enter the app or change channels. What’s missing? Live videos. Streaming live events such as political debates, the World Cup, the award season and so on is undoubtedly becoming easier on the Internet but real TV still has that little something that turns it into a much more simpler, comfortable and instant device to watch those kind of coverages in full HD. Also, TV merges with Netflix or YouTube really well. Instagram hasn’t exploited yet the power of live stories and it has not implemented yet a live feature on IGTV. Also, they don’t seem to care about the fact that the vast majority of TVs are horizontal. Maybe it isn’t such a big deal but what if it is? If IGTV does become a success, Instagram will certainly have to take care. There’s a lot of controversy going on about YouTube’s content (e.g. child exploitation, fake news, Russian propaganda) and Instagram will be pushed to take many tough decisions and plan out its moves really well.